Isabel Olavide began teaching Spanish and Flamenco dancing in 1993 to children with Down’s síndrome. The result of this task performed in recent years, in view of the evolution and progress in the learning and artistic trajectory of her students, is this Company, which showcases the artistic talent of its performers and which has already put on several performances. Born in Madrid, Isabel Olavide is a dancer, bailaora, choreographer and dance teacher who has been profesionally dedicated to this art since 1982. She has been a member of several Spanish and Flamenco dance companies, including the Rafael de Córdoba and Antonio Gades companies. In 1992 she formed her own company, directing several Flamenco shows such as “Al Son del Aire”, “Flamenco y Palabra”, “Dímelo tu Flamenco” and “El Dibujo de mis Abrazos”, performed all over Spain and in several countries in Europe, Africa and Asia. She is currently directing “A nuestro ritmo”, a dance show performed by dancers with Down’s syndrome. 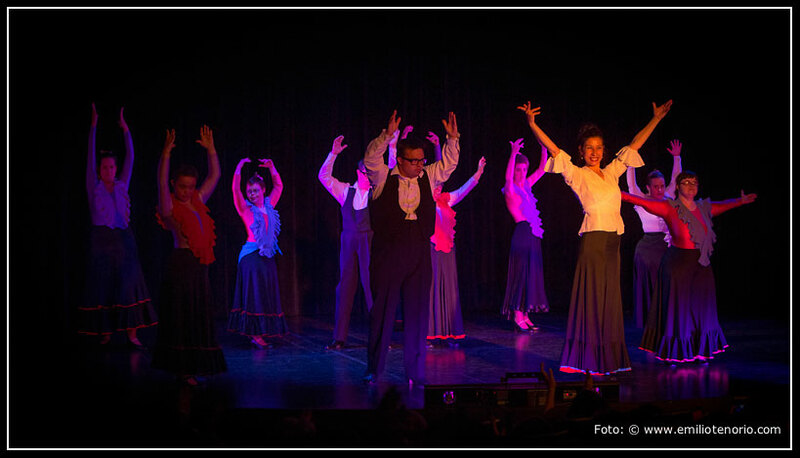 “A Nuestro Ritmo” is a dance show in which Flamenco dancing is the main form of expression. A project that is now a reality, born in the Isabel Olavide dance studio, which means to showcase the benefits provided by dancing, as regardless of our physical or mental limitations, everything flows when one pulls on the thread wound around the deepest part of the human being. “A Nuestro Ritmo” represents a commitment to diversity in the art world, meant to raise public awareness for new forms of performing and viewing dancing, as well as help building a path in common with people with special differences.